Rick brings more than 30 years of experience in not-for-profit marketing to the firm, including work in fundraising, public relations, college admissions and marketing communications. He began his career at his alma mater, Spring Arbor University, a church-related liberal arts college, where he managed church and college relations, development and admissions programs. Rick completed graduate courses in higher-education administration at Michigan State University. He served on the staff of Imprint, Inc., for eight years before launching his own firm in 1991. 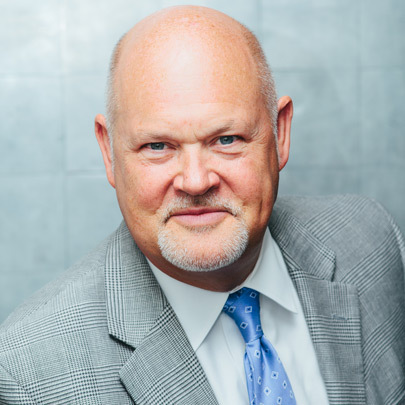 He is a frequent conference speaker at regional and national meetings of educational organizations and taught for 13 years as an adjunct professor of marketing at the University of Notre Dame Mendoza College of Business. His first book, Coherence: How Telling the Truth Will Advance Your Cause (and Save the World), recently took the top prize in the National Indie Excellence Book Awards’ Business category.